CHLOE & HALLE AREN'T LITTLE GIRLS ANYMORE. THE GRAMMY-NOMINATED SISTERS HAVE GROWN UP BEFORE OUR EYES AND ARE MAKING THEIR DREAMS COME TRUE. It’s 8 A.M. on a deserted stretch of land, an hour and half drive from the bustle of Los Angeles. Although the sun is still on its way up, the Joshua trees and vast terrain are eerily beautiful—even against the signs warning of rattlesnakes and mountain lions. It’s just the right amount of beauty and badassness that warrants the arrival of a pair of burgeoning rock stars. 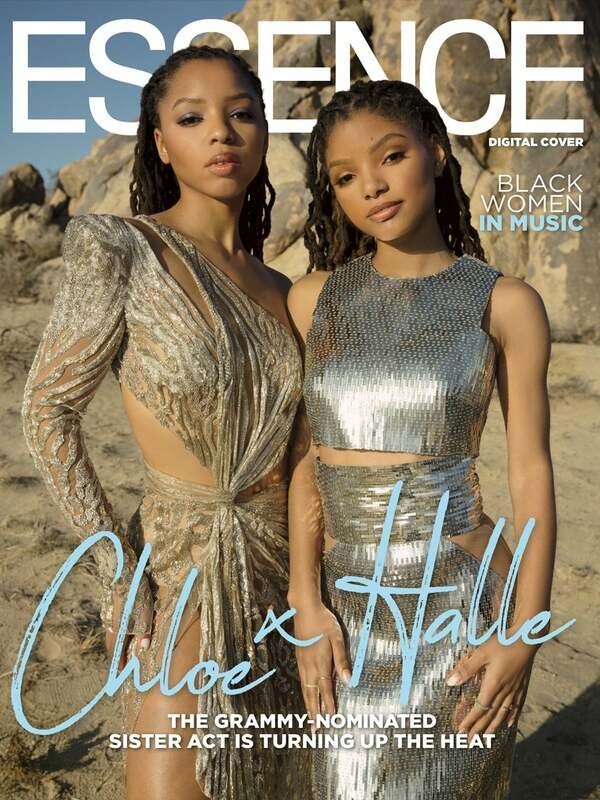 Chloe and Halle Bailey, better known as the singing duo Chloe x Halle, might not describe themselves as such – but since they are Beyoncé’s proteges (signed under the icon’s Parkwood Entertainment), spent the better part of 2018 as the opening act for the U.S. leg of the On The Run II tour, and star in the TV show Grown-ish—they should definitely add that title to their growing list of monikers. And if that isn’t impressive enough, Chloe, 20, and Halle, 18, can now officially call themselves Grammy-nominated musicians. A mere nine days prior to their ESSENCE digital cover shoot, the ladies got a call from their publicist Yvette Noel Schure at 5:30 A.M. with news of the nominations. Naturally, Chloe and Halle shared their excitement via Instagram—an emotional video of the ladies huddled in each other’s arms and crying tears of joy. As Black women we are feeling incredibly empowered. 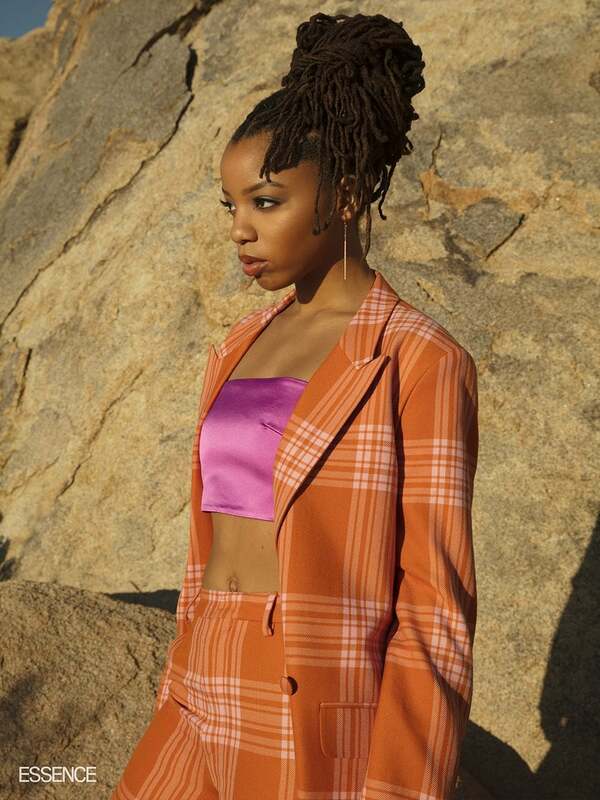 For six years, fans were sustained by a Chloe x Halle mixtapes and EPs until the duo released The Kids Are Alright, their first full-length album, last March. Filled with exceptional lyrics and melodic guest appearances from JoeyBada$$, Kari Faux and GoldLink, the album mesmerized a new legion of fans. So, it’s no surprise the Recording Academy of Arts & Sciences tipped its hat not once but twice for their debut effort — best new artist and best urban contemporary album. Another honor they are celebrating: performing “America the Beautiful” at Super Bowl LII, arguably one of the biggest audiences who will hear what we’ve loved all along. Perseverance is not something they lack. The Kids Are Alright took over three years to make—and most of it was recorded in their living room. That type of homegrown ingenuity is what initially grabbed Beyoncé’s attention when the sisters were uploading covers of her songs onto YouTube at 11 and 13 years old. The songstresses have taken a page from their mentor’s book and released a short film in conjunction with their album. Starring Moonlight’s Ashton Sanders, the ten-minute visual project encapsulates Chloe and Halle’s maturity as musicians as well as celebrates Black beauty. “We wanted to show just how beautiful it is to be Black and how amazing it feels,” Halle explains. Style is yet another form of self-expression Chloe and Halle have been utilizing that is garnering plenty of admiration. Their looks are often coordinated in ways that are edgy and thought-provoking rather than over-the-top and contrived. Couple that with their regal waist-length locs (which they’ve been growing since they were children) and you can easily call them runway stars. Back on set, the sisters pepper each other with compliments (“You look beautiful, Halle!” and “I love that on you, Chloe!”) as their wardrobe stylist Zerina Akers expertly fastens them into designer frocks adorned with head-turning embellishments. When asked what they admire about each other’s style, the flattery continued. “No matter what Halle wears, it’s with a certain type of grace—and I definitely believe that’s because of who she is as a human being,” beams Chloe. Both sisters elevate their mind-body-soul through their vegan diet and plenty of hot yoga–both essential elements of their self-care routines. But at their core, their happiness comes from work. The beautiful thing about doing what you love is that it never feels like you’re really working. That isn’t far from the truth considering they filled this little slice of the desert with plenty of giggles and dance breaks. And as the day eventually turned into dusk, we wrapped up our incredible shoot and hurried off set—before the mountain lions joined the party.